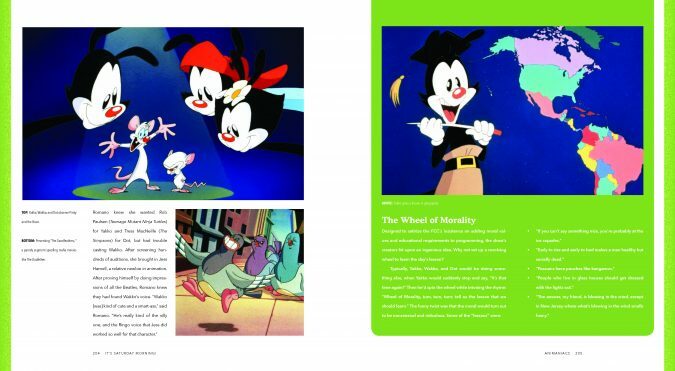 An interview with the authors Joe Garner and Michael Ashley on the magic of Saturday morning cartoons and remembrance of a bygone, beloved era. Q: Could you tell us about some of the cartoons featured in your book? The book is broken up into four decades in which we present the respective shows. For the 1960s, we cover favorites, such as The Bugs Bunny Show, The Flintstones, The Jetsons and Jonny Quest. For the 1970s, we discuss ThePink Panther, Scooby-Doo, Fat Albert and the Cosby Kids, Schoolhouse Rock!, and Super Friends. 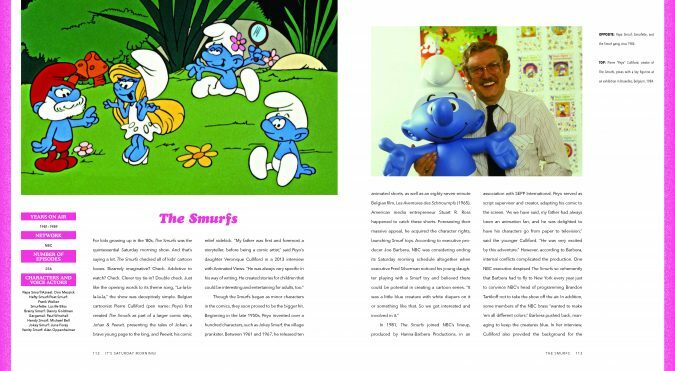 In the 1980s, we feature The Smurfs, Alvin and the Chipmunks, He-Man, TheTransformers, and The Care Bears. In the 1990s, we wrap it up with Teenage Mutant Ninja Turtles, Bobby’s World, Tiny Toon Adventures, Darkwing Duck, and Animaniacs. We also feature commercials of the era for toys like Slinky, Battleship, Smash-Up Derby, Cabbage Patch Kids, and Teddy Ruxpin. 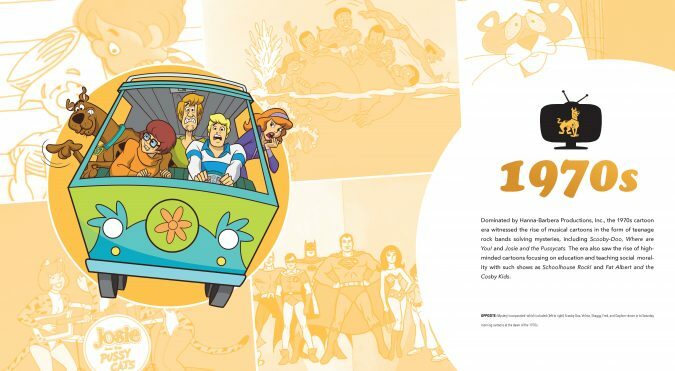 We hoped to create a book that would allow fans to re-experience the cartoons they loved so much from their childhoods and remember a special time that doesn’t exist anymore. Our goal was to recapture the spirit of wonder and magic, when you’d wake up early, rush out of bed, have your bowl of sweet sugary cereal, plop down in front of the television and watch your favorite cartoons with a big smile on your face because of all the fun that you were going to have. Q: Can you tell us a little bit more about why it was so important for you guys to write this book? We wanted to capture something that meant a lot to us based on our childhoods. Joe and I are two decades apart, so his perspective on cartoons covers more of the ’60s and ’70s variety, while mine represents the ’80s and ’90s, although shows such as The Bugs Bunny Show, The Flintstones and The Jetsons were syndicated, so I saw them in my youth as well. Joe is a New York Times bestseller of many books chronicling pop culture, including And The Crowd Goes Wild/And The Fans Roared, and We Interrupt This Broadcast. We were talking one day, wondering to ourselves, ‘What book could we team up to do? What can we talk about in a popular culture that really speaks to us?’ Upon exploring this idea further, we both realized that Saturday morning cartoons were something that meant a lot to us. Something that doesn’t exist anymore. Once a pop culture staple, these cartoons died out in the 1990s, and we remarked upon the fact that no one really talks about it. We wanted to bring back this time. We wanted those who experienced this era to be able to share it with their children and grandchildren and to relive these memories. Q: Why do you believe Saturday morning cartoons matter so much as a cultural phenomenon? 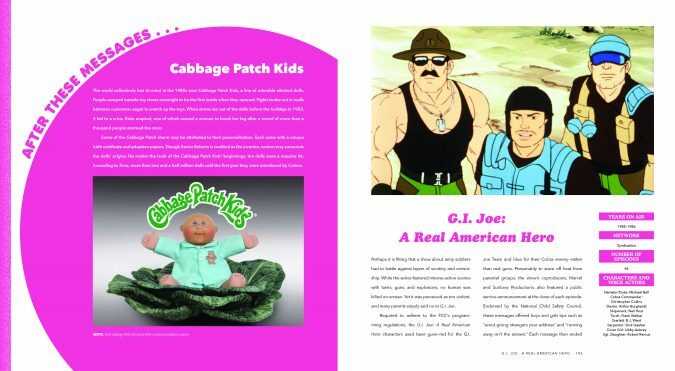 We were very fortunate to have Howie Mandel write the foreword to the book, and he said something that stuck with us: Saturday morning cartoons represent the last time we as an American TV audience were unified culturally. For most of the decades we talk about, there were only three major television stations, so everybody was forced to watch the same things. Because of this, everyone, regardless of race, gender, or even class, was speaking the same language. Everyone was sharing the same moments. These cartoons, these stories, struck deep into the American consciousness. We wanted to capture that, and to also convey the magic of childhood. When we watched these shows, we were 5 or 6 years old, and at that age, everything is infused with wonder and magic. It was our hope to take people back — to put them in that mindset that you often lose as you grow older. Q: Who is this book for? This book is mainly for boomers and Gen X-ers, and, of course, everybody in between, including the fans’ grandchildren and great-grandchildren. We want the book to be this year’s holiday gift. We can all agree that there is a lot of turmoil in the world. There’s a lot of political strife, especially in this country, right now. No matter how you feel about what is happening, we can all sit back and enjoy this book. It’s just about fun, entertainment, joy, laughter, and adventure. It doesn’t matter who you are… this book is for everyone. Q: Could you tell me what some of your favorite cartoons are and why? As a child growing up in the ’80s, my personal favorites, of course, skew toward this time, although I did watch syndicated shows. I really loved the TheBugs Bunny Show, The Flintstones and The Jetsons. However, my favorite of all time was Jim Henson’s Muppet Babies. It’s interesting because Teddy, my 3-year-old-boy, now watches the reboot. It has been brought back on Disney Junior, only now the characters are animated in 3D. When I was watching as a kid, what I loved about this show was the way that it sparked my imagination. The whole premise that Jim Henson was trying to create was that these babies were free to allow their imaginations to run wild. Whatever they came up with in their minds, they brought to life. As a child watching this show, it fostered my imagination, which led to me to become a writer. Joe and I have talked about this, and he feels the same way. So many of these shows developed our imaginations as kids, transforming us into the creatives we are today. Q: What’s something in your research that people might be surprised to learn about Saturday morning cartoons? I think people would be surprised to learn that some of the shows were really only on for a short amount of time. There were only 24 original episodes of The Jetsons, and yet this show managed to make such an impact on our culture. The Smurfs, on the other hand, had a whopping 256 episodes. Of course, The Smurfs has continued to have a lasting impact in movie form whereas TheJetsons has not. But it was surprising to learn that certain shows that we think of as so iconic ran for a very short time. Q: What would you like young people who missed out on Saturday morning cartoon phenomenon to know about this time? Kids who grew up in this period lived in a very different world than we do today. When commercials came on television, we couldn’t bypass them as you can now. We were stuck with those commercials, so we got really good at channel surfing. Another difference is that cartoons only played at specific times. Nowadays, we can watch anything on demand, whether via YouTube or binge-watching on Netflix, Hulu, and Amazon. So much content is available at our fingertips that we kind of take it for granted. Think about it. The kids of today don’t have to wait for things. They don’t have to suffer through long commercial blocks. But back then, you had to wait for your show all week long. That’s why Saturday was such a fun day… it was“Kids Day.” You waited all week long for Saturday when your parents were sleeping in, and you had time for yourself to watch your favorite shows. Nowadays, when it comes to cartoon watching, it’s almost going to a buffet. Sure, you can view any show you want, whenever you want. That’s amazing, but there’s a difference between enjoying a buffet and sitting down in a nice restaurant and waiting for your food to come out. To me, that is the difference. Saturday morning cartoons, and media as a whole at that time, was something special precisely because you had to wait so long for it. Q: What do you think is the legacy of Saturday morning cartoons? Saturday morning cartoons touch on something meaningful to many people. Everyone involved in the production of these cartoons really tapped into the American psyche. These wonderful stories, memorable characters, and great dialogue still resonate in our culture. If you look at a show like Garfield and Friends, it is still in the cultural zeitgeist, just in a different iteration (with a recent show reboot and in movie form.) Likewise, The Smurfs has made a comeback as a successful movie series. Similarly, the popularity of Teenage Mutant Ninja Turtles has never gone away. There are constant reboots. And we all know the popularity of Transformers has exploded since it first premiered in the ’80s. Nowadays, it’s a billion dollar franchise – but it all began with the original cartoon. All of these shows live on in different ways, but for the generation that lived through the golden age we chronicle in this book, these shows hold a special place in our hearts. Why? These cartoons constituted a seminal part of the childhood experience. Want to get your copy of the book? Stop by your local Barnes &Noble branch or buy your copy now on Amazon.